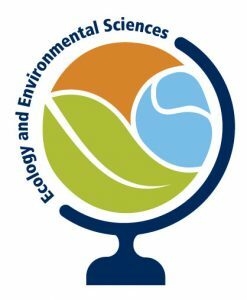 Margaret McCollough, a second year Master’s student in the EES program, was awarded 1st place for her oral presentation in the M.S. category at the Weed Science Society of America’s Annual Meeting held in Arlington, Virginia. 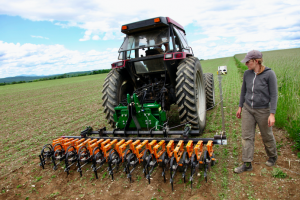 She presented results from two research projects that aim to identify improved weed management strategies for organic grain growers operating throughout New England. Her research investigates a cropping strategy called band-sowing that her advisor, Dr. Eric Gallandt, observed an innovative grain grower using in Sweden to better manage weeds in his crops. In band-sowing, grains are planted in wide bands instead of single-file rows, intending to maximize crop competitiveness and weed suppression within the planted band, while weeds growing between the bands are managed using aggressive cultivation sweeps. Margaret’s work investigates whether the band-sowing strategy provides superior weed control when compared with the region’s standard practice for growing organic grains, and alternative strategies. In field experiments, she has also explored whether the band-sowing strategy can be used to grow multiple crops including barley, wheat, oats, field peas, and flax.